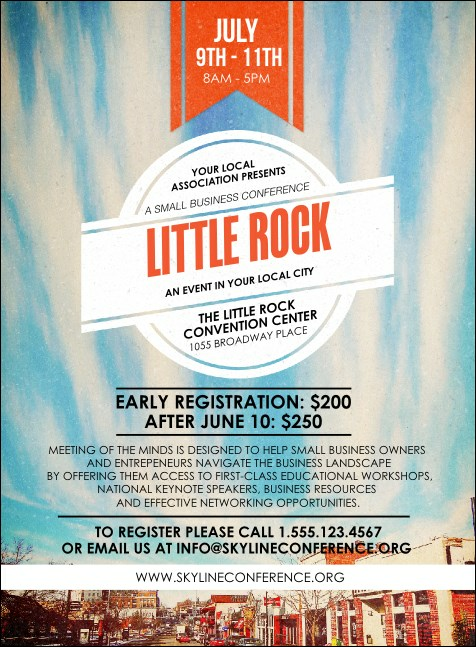 Keep your Central Arkansas event advertising personal and colorful when you print Little Rock Invitations and send them out to your guest list in advance. Make your potential guests take notice of your event in The Rock with Invitations that feature a blue sky background with fluffy white clouds. Find your way to great Ozark advertising at TicketPrinting.com.